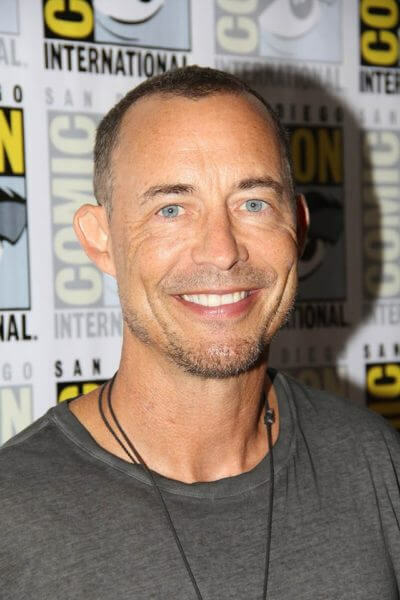 The Flash star Tom Cavanagh did an impressive job of talking about Harrison Wells while not giving anything away during our roundtable interview at the 2017 San Diego Comic Con. Cavanagh joined his fellow The Flash cast members – Grant Gustin, Danielle Panabaker, Candice Patton, Jesse L. Martin, Keiynan Lonsdale, and Carlos Valdes – at the pop culture convention to discuss the upcoming fourth season of the comic book-inspired series which is set to premiere on October 10, 2017. During our interview, Cavanagh talked about how much he’s enjoyed the different iterations of Harrison Wells and the challenges of bringing each Harry to life. Can you talk about the many different versions of Harrison Wells and who he’ll be this season? Tom Cavanagh: “Yeah, there may be a few versions. I’m going to start with Harry, but one of the strengths of the show has always been to…we created this area of privilege where it’s like we have an explanation and a pathway that allows us to be more than one person. We’ve created a cage and then we can rattle the cage, and the cage is the multiverse. Different Earths – Earth-19 Wells, Earth-2 Wells, Earth-1 Wells, you know, Eobard Thawne. There’s all this. It’s been a joy to be on a show that’s a long-running show but that allows me to play more than one character. It’s a real privilege. Most of what I hear from people who watch are like, ‘What’s it going to be this year?’ We don’t have a huge interest in repeating ourselves, but it’s nice to start off with a base and then use whatever our story arcs are as the season progresses to manufacture another version of Wells. As an actor, it’s a great challenge for you to play. Do you ever feel like an actor in search of an anthology? He’s like an anthology character. So, what’s it like for Wells to have been killed so many times? Since you’re keeping what’s happening with season four Wells so close to the vest, do you know some things that you’re going to spring on them in character once they give you the Wells you’re going to be for the new season? Do you have some ideas already you want to incorporate? Could there ever possibly down the line be a female version of Harrison Wells?